As 2018 comes to a conclusion, it's time once again to look back at the year we have had in the 29th. We started off the year with the long-overdue OCS scrim of Charlie Company’s CW3 Hill, who after two intense battles was commissioned to the rank of Captain. Also in February we saw the 29th’s departure from Darkest Hour and the unfortunate closure of Baker Company. Soon after in April, we saw the 1000th training platoon of Basic Combat Training. April Fool's Day came around and 'in order to better reflect the importance of paternal heritage', the names of each member of the unit was appended with the Scandinavian '-son' suffix on the forums for the day. August and September brought us the OCS scrims of Dog Company’s Sgt. Ochs who was commissioned to the rank of Second Lieutenant. The next few months saw such events as the continuation of MSgt.’s ‘ZeuSaturday’ campaign, Sgt. Butler’s Arma 3 WWII campaign, and of course the annual 29th Halloween Arma 3 Zombies event. "OCS scrims are one of my favourite parts of what the 29th does. OCS scrims are always entertaining and rewarding and I always look forward to participating in them. When I was first told I'd be doing OCS I hadn't given much thought to the scrim in any complex way until the date of the first scrim was announced; then it became real. If you were to ask I don't think I could remember the number of OCS scrims I have been part of in my time in the 29th but, I can tell you, when the OCS scrim is your own it takes on a new meaning. I would describe the feelings as anxiety, excitement, pressure. Anxiety about performing well and not letting my team or Bn. down, excitement at the opportunity and the event in general, and pressure because that is the point of it. That last one, pressure, really is the point. I've seen Bn. design OCS scrims that put pressure on the candidate, I've seen candidates almost crack. I though I was fully prepared but when it's you and not someone else who is being tested, it's very different. The results of the OCS scrims were good overall. After the fact I saw many ways I could have performed better or done something differently. I learned some things about my leadership style and had to make some adjustments as a result. All in all a thoroughly wonderful experience and Bn. really should be commended for all the effort that is put into the OCS program. Since I became CO, Charlie Company has had many changes. Most notably, we switched how we managed a mod list with our members and servers and moved those servers onto a dedicated server box. 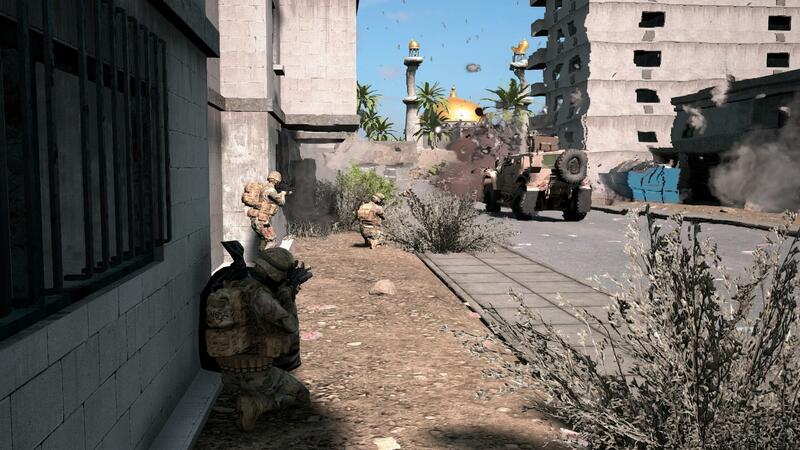 The mods we use offer us many toys to play with and an ever increasing sandbox to play in. I endeavor to see that the coming year is eventful and entertaining and I am thankful to have such a wonderful group of guys to be part of." 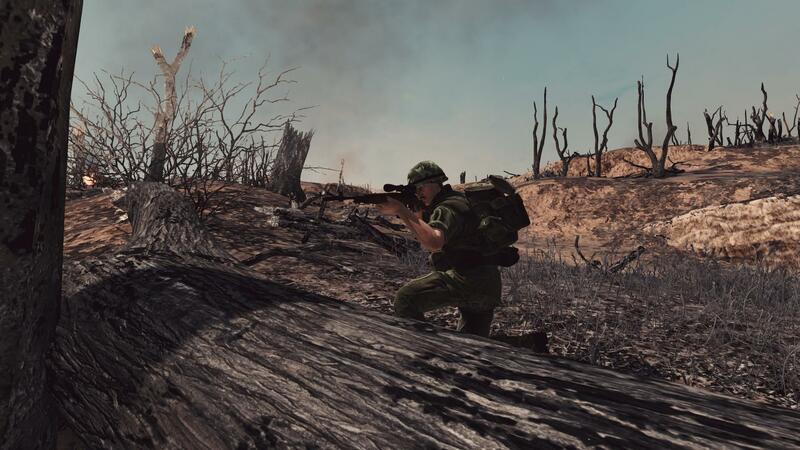 The closure of Able Company and the 29th's departure from Red Orchestra 2/Rising Storm came in November and with it another large segment of the unit’s history stretching back almost a decade came to an illustrious conclusion. In July we were hit by the deeply tragic news that fellow 29th member T/4 Jeffrey Hauser had passed away. So soon after, the 29th was shook once more in August with news of the passing of T/5 Samuel V. Morse. An abundance of tributes flooded in for the pair as the 29th as a whole mourned their loss. 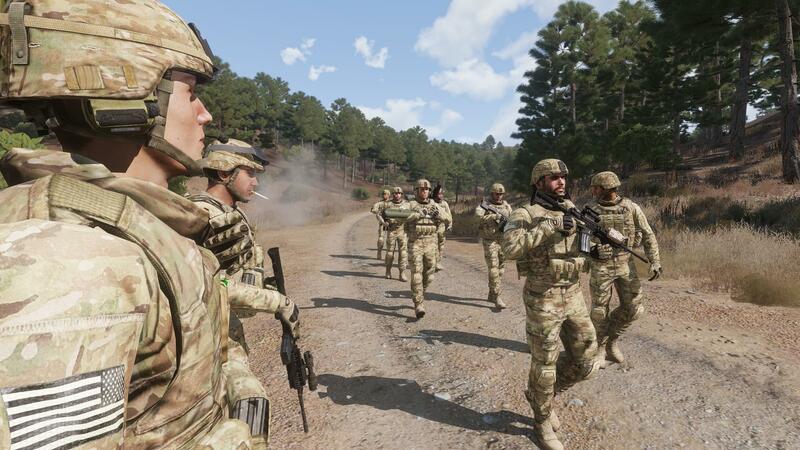 We end 2018 with over 300 members across the now three companies based in Arma 3, Rising Storm 2: Vietnam, and Squad. While we did unfortunately see the closure of two companies that had been such an integral part of the 29th, we saw the first full year of Dog and Easy Company as they prepared to house their own history. There were a total of 5 SLT (Squad Leadership Training) scrims in 2018 bringing with them the promotions of PFC Laird, PFC Vos, PFC Vogel, T/5 Vonk, PFC Furie, and PFC Maciel as they all became Non-Commissioned Officers. Bringing this year in review to a conclusion, we can only anticipate what is to come for the unit in 2019. We’ll see a barrage of fresh members ready to start their 29th careers as well as the usual assortment of scrims, changes, events, and who knows what else, only the year will tell. "When I look back at the unit in 2018, Battalion’s first impression is that a lot has changed. Just looking at the roster, we started the year with five companies and ended with three. While a reduction in companies could be indicative of a decline in the health of the unit, downsizing allowed for a redistribution of leadership that helped to fill gaps that existed which led to a strengthening of the unit as a whole. Thanks to the efforts of multiple recruiters, our membership is sitting strong at approximately 350 members, a brotherhood that stretches around the globe. Looking back at the effectiveness of Officer Candidate School as we traditionally do in these posts, Battalion Headquarters was able to successfully complete the OCS’s of three new Second Lieutenants (2Lt. Barclay, 2Lt. Brewer, and 2Lt. Ochs), as well as the didactic portion of two candidates (Sgt. Kelso and Sgt. Willis), and, for the first time ever, successfully commissioned a CW3 Company Commander into a Captain. These leaders have already made profound impacts on those under their command and Battalion Headquarters is optimistic greater things will be accomplished in 2019. Looking forward, Battalion will be working with Company Headquarters to review and update many policies to ensure that they are still relevant and applied equally across each Company in the Battalion for the sake of consistency." Bloody good year, bloody good post. Thanks for the read T/4.